Kevin Garnett will reportedly retire after 18 NBA seasons. According to YardBarker via The Juicy Online, Kevin Garnett has told close friends that he will retire from the NBA after deciding to undergo surgery on both ankles. 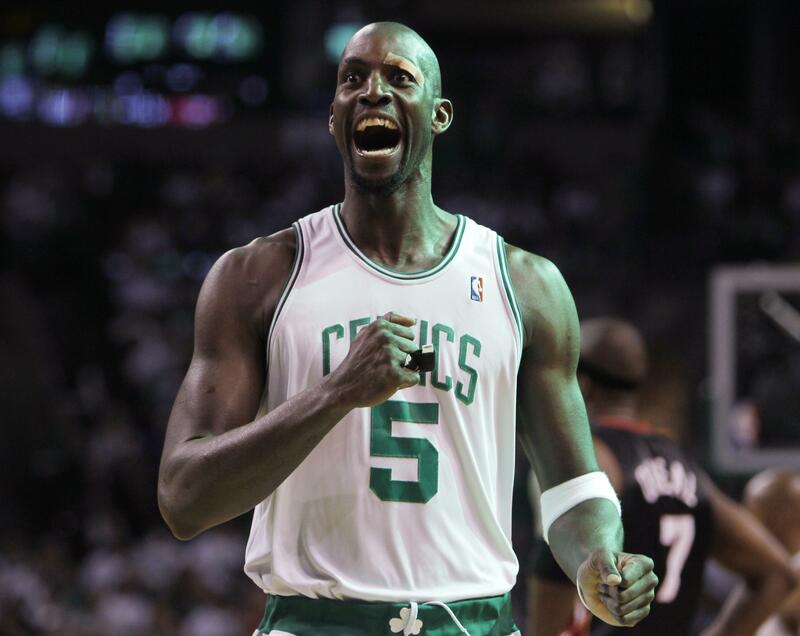 Garnett spent the first 12 years of his illustrious NBA career with the Minnesota Timberwolves and the last six with the Boston Celtics, winning the 2007-08 NBA Championship. He averaged 14.8 points, 7.8 rebounds and 0.9 blocks this season, as he and the Celtics were eliminated in the first round of the playoffs by the Knicks. KG was one of the first stars to successfully make the jump from high school to the NBA, as the Timberwolves picked him fifth overall in the 1995 Draft after he was named Illinois’ Mr. Basketball at Farragut Academy in Chicago. Who knows the amount of truth to this rumor. After all, it is a rumor. If it is true, the NBA just lost one of the best and most intense big men of the past 20 years.